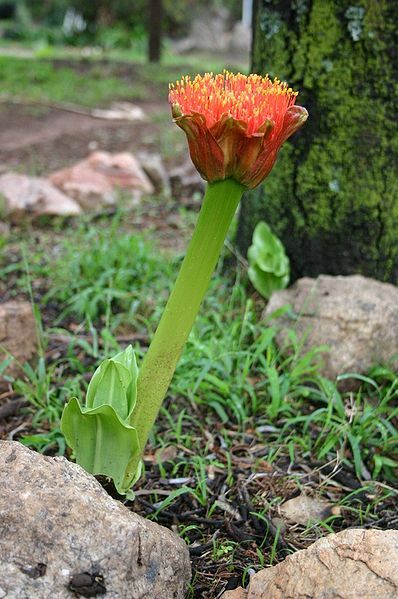 This plant, sometimes known as the Paintbrush Lily, produces annual growth from a bulb. 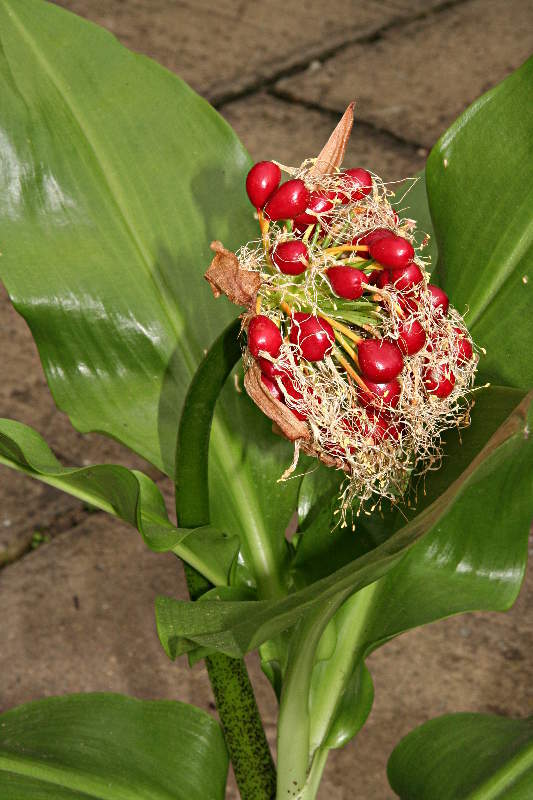 It is seen here with the fruits which develop during summer following the flowers in spring. Here in the UK, I grow the plant in a greenhouse. Along with other bulbs in the Amaryllidaceae family, I grew these from seed some years ago. The flower spike is the first thing to show in the spring, quickly followed by the leaves. The growth wilts and dies quite quickly in the autumn, leaving just the dormant bulb until the next spring. As I said, I started my own plants from seed years ago. The picture shows the fruits - they are intially green, but ripen to red, and are very soft and fleshy - probably intended to be eaten by birds. I've opened one of them to show 2 of the seeds themselves. 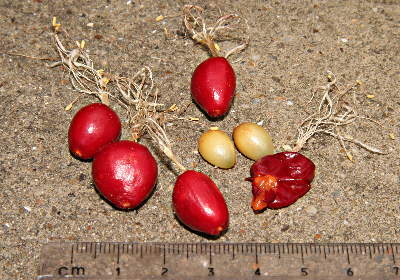 As with other Amaryllid bulbs with fleshy seeds, the seeds tend to start to germinate whether they are planted or not, and cannot be stored for long (since they start to grow anyway). So it's not usually a problem to get them to grow. Of course, it means you are starting the seeds at a time not long before the adult plants would be going dormant for winter. I can no longer remember what my young seedlings did in their first winter - whether they remained in leaf, or whether they quickly made a small bulb and went dormant. Finally: I seem not to have photographed my own plants in flower, so here is a public domain photograph of the plant in flower from Wikipedia.